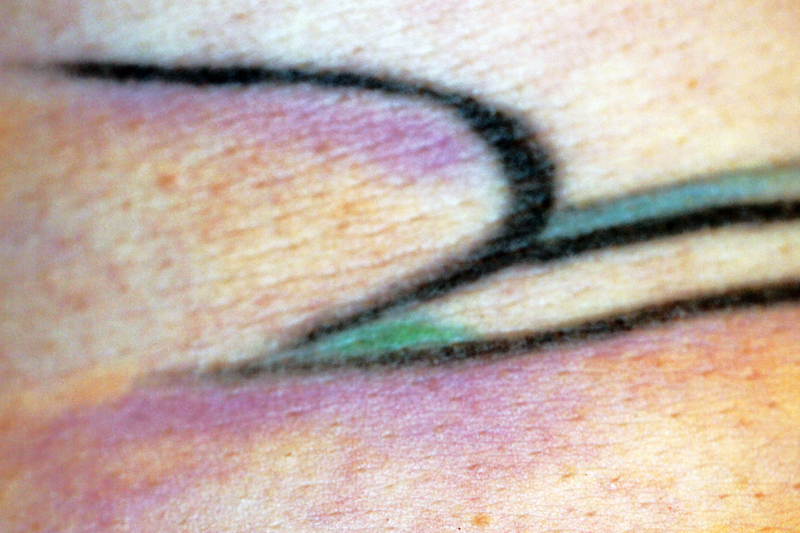 Less than a year after the controversial discovery of a Mark Rothko painting inside a tattoo worn by Jason Nadeau of Pawtucket, RI, the discovery of a Paul Klee in his tattoo has raised the stakes in an ongoing battle in the art world. Art critics, radical artists and art insurers disagree about the status of the reported discovery. Although Sotheby’s continues to hold its position that tattoo Rothkos and, now, Klees, are by definition inauthentic, and, even if authentic, cannot have any market value. International radical art collaborative, Deeeeepaaart, has engaged in online protests against the Neo-Liberal arts establishment and sponsored a Change.Org petition declaring Jason Nadeau a Human Art Gallery, thus entitling him to state and government arts grants on account of his existence. The petition achieved 400,000 signatures in less than two days. Exactly how this petition will be received remains to be determined at press time. Bookmark this article Extra! Extra! Jason Nadeau, Human Art Gallery?